Today's the big launch of a 'top secret' project which a few other bloggers and myself have been working on for the past couple of months. I like the concept of living victoriously with MS, because that is what we each strive to do I think. MS is not something we conquer but something with which we can live a positive life. Please tell me what you think. Thanks. P.S. 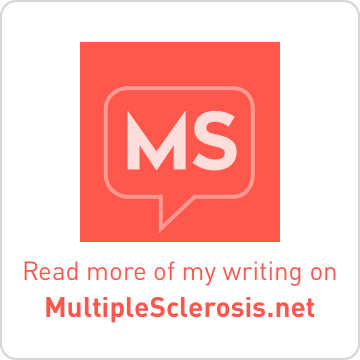 Yes the website is sponsored by EMD Serono, but it is entirely unbranded and if you know the bloggers, then you know most of us (if not all) do not even use Serono MS products. I don't know what to think. Not in a million years would I think you would be part of a BIG PHARMA web site. And Jen...too....I feel bad. Good luck to all of you. Well played. Diane, please don’t be sad. I personally took a lot of time in deciding whether to get involved with this project. When looking around online to see what the MS orgs and pharm co.s were doing directly for MSers, I noted that they were not funding projects where regular MSers could use greater resources to reach out to help other MSers. You know, I have never even bothered to watch the isolated videos which are cropping up on the different MS-drug/pharma sites. 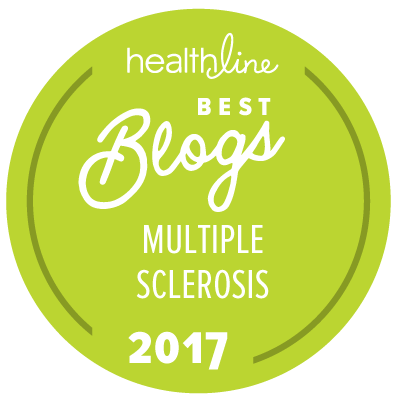 I just presumed that the featured MSer would be talking about how much taking drug X fits into their lifestyle and makes living with MS better somehow. All propaganda. Perhaps I shouldn’t knock them since I’ve not watched them. One thing I really like about this project is that it specifically is not about any particular drug. In fact, the only guideline which has been established is that we should not discuss drugs by name (or dosing schedule, or other identifiable reference) whether positive or negative, nor any side-effects or adverse events. 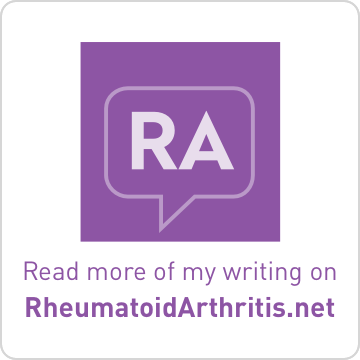 I did get some clarification regarding if I’m talking about having RA and MS, could I mention any limitations on choice of RA drugs since they could make MS worse? This is important information to spread to the small number of patients whom it might affect. We found a way in which I may address the issue which is acceptable when the topic comes up. I am in complete control of what I say and write!! (within the above guideline). Any choppy editing on the part of videos is because this is my very first time at using my digital camera to film and then cut out the parts where I ramble or get lost in thought, or whatever. The bad edits are really mine, LOL. I am hoping that this project reaches MSers who might not find or participate in our blogging community. Patients looking for information, reassurance, or inspiration. Financially, I’m reimbursed in a similar manner as at HealthCentral as a freelance writer. In talking with a couple of the folks involved, I was told that Serono is interested in doing something with the website such as ultimately giving it to NMSS to continue if it becomes popular. Now how cool would THAT be?! Finally NMSS would have something for us, by us. I just hope that this helps someone, anyone, who stumbles across it and is looking for information regarding life with MS.
BTW, folks in charge have actually taken critical feedback from me and made adjustments on things such as the way the poll questions/answers read. Very responsive and respectful folks I've been dealing with which feels good. Like Diane, I, too am surprised. I am afraid I do not like the new website at all, the music is irritating and detracts. And all of you lose intergity by joining a pharma company. Will you still be writing here, hope so. I am definitely not leaving this blog. It is my home and without it the other stuff doesn't matter at all. The new website is a vehicle through which to help others and I hope that it will accomplish that. Perhaps it will also bring more attention to our corner of the blogging world which certainly does reach out to embrace and help one another. If that happens, then it is worth it in my opinion. I'm sorry that in your eyes I (we) have lost some integrity. THAT certainly was not a goal I had in mind. I certainly will use any connections I have, and make, to continue to tell folks working in and for pharma in any capacity that they MUST do more to help patients. Of course I have to chime in, since I have a totally different viewpoint. 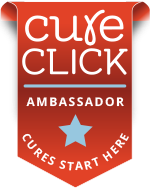 Being a BIG advocate of disease-modifying drugs, I am completely FOR drug companies disseminating product information so that more newly-diagnosed patients will at least try one that might work for them. It's a matter of proven medical statistics, and if a larger entity can get more visibility about the disease and the vital meds, I'm all for it. I like to see the situation from both sides.....And you can't always make everyone happy. Think I was abit too quick to react. Forgot that a response is ok but that I do not always have to react right away. Sorry for being so critical especially as I did not know all the facts. Can see now that your intentions are good and can also see that this could be of vital importance to people looking for help and advice. Can also see that it is everything to do with being a window for non blogging MSers. Q's. What is the NMS. Does one have to log in to gain access to your site, that is the bit I worry about as I do not like having to give my details in order to read a blog. Lisa, I had a reputation at my job for "speaking out" and suddenly mgmnt wanted me on their committees! I was thrilled! Now employee issues would be addressed! I learned it was just a long used tactic to handle people like me. If I was busy with them, I wasn't busy with employees. They gave me awards! They invited me to private parties! They really cared and listened to me! They got the inside track on problems and painted them over, swept them under, before employees knew what hit them and *I* was HELPING THEM! Lesson learned. You are a teacher and muscian. You, more than anyone I've met, know who they are. May the wind be always at your back, and your head above water.